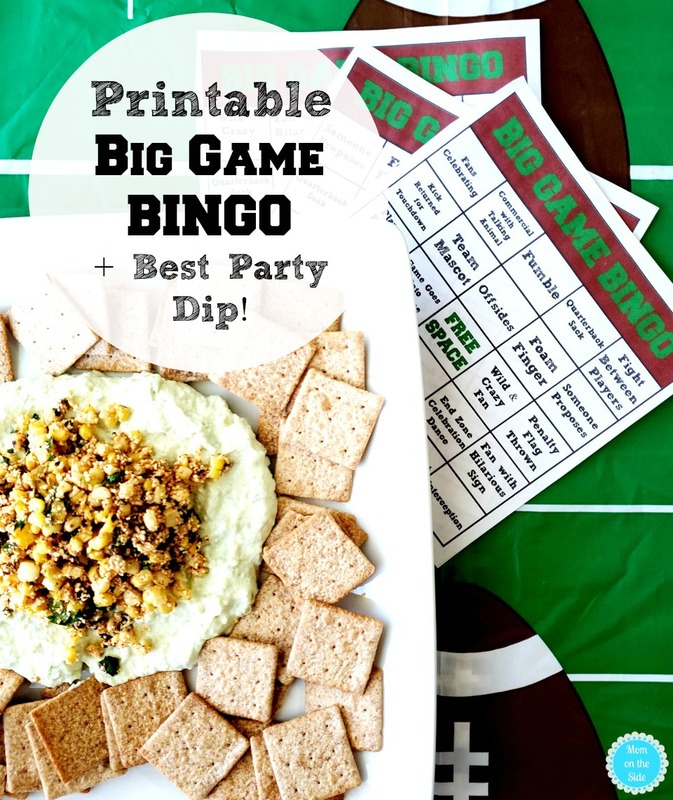 Printable Big Game BINGO and the best party dip recipe sponsored by Nabisco. You guys, I’ve gone to dip heaven! Pasta and pizza were on my “if you could only eat one thing for the rest of your life” list and yes, I’m aware that’s two items but it no longer matters. 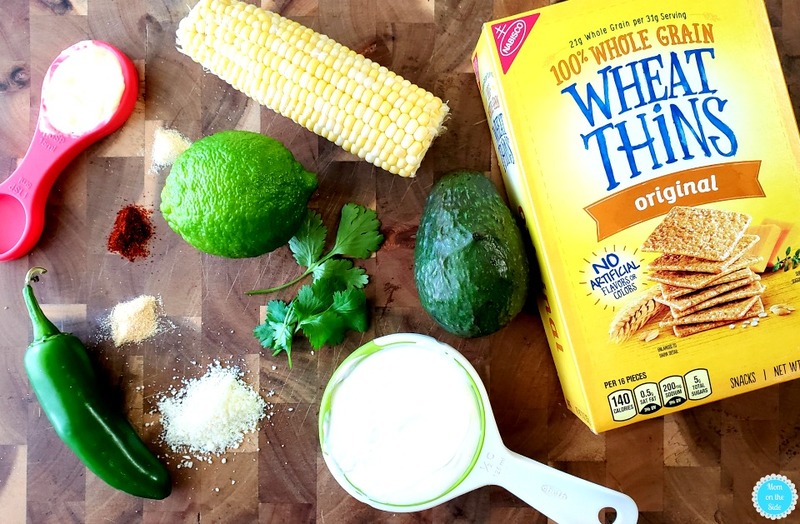 After digging my WHEAT THINS Original Snacks into this Street Corn Dip with Avocado Cream they’ve both been replaced by dips. Are you a dip lover too?! 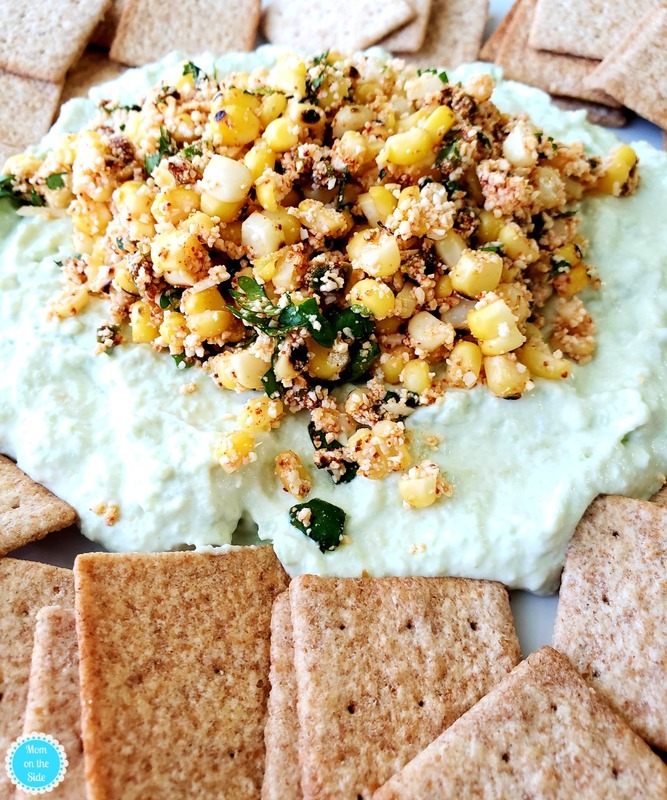 Dips are my go-to for get-togethers and holiday parties. They are also my favorite thing to snack on while watching football games and playing Big Game BINGO! 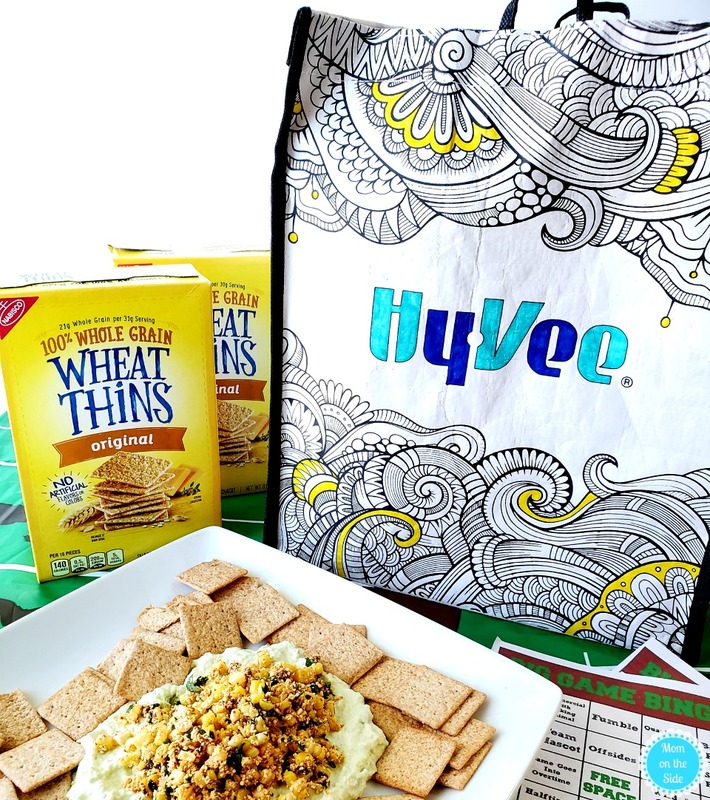 After you drool over this Street Corn Dip with Avocado Cream recipe you’ll want to print your BINGO cards at the end of this post, and then run to Hy-Vee and pick up the ingredients and WHEAT THINS Original Snacks so you can put this Big Game Recipe in your belly STAT. Before we jump into making this delicious dip I’ve got a tip. You can make this dip ahead of time and refrigerate for up to 2 days before serving. However, keep in mind that it is an avocado mixture and can turn brown so it’s best to prepare it just before serving. If you do prepare it ahead of time, cover the filled bowl with plastic wrap and press it directly on the surface of the avocado mixture to help it keep some of the color. First, grill the ear of corn. This can be done by hearing a pan to medium heat on the stove and placing the ear of corn into the hot pan. Turn frequently while grilling for 15-20 minutes, or until the kernels are evenly charred. When it’s done, place a small bowl upside down in a large bowl and stand the cob on the small bowl to cut the kernels off into the larger bowl. Add cilantro, jalapeños, chipotle powder, 2 Tbsp. of Cotija cheese, 1 tsp. lime zest, and 1 1/2 tsp. lime juice to the corn kernels. 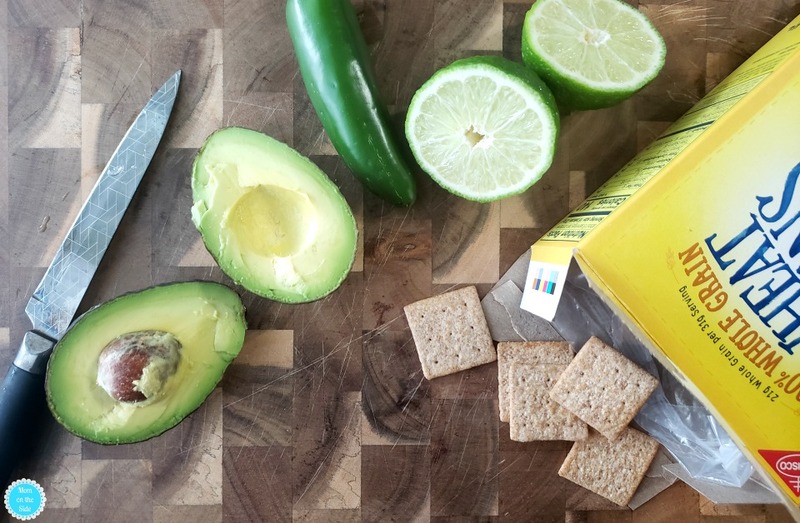 Mix together and refrigerate while you make the avocado cream mixture. For the avocado cream mixture, start by mashing the avocado in a medium bowl. Add sour cream, mayonnaise, dry seasonings, and remaining lime zest and juice and mix together well. 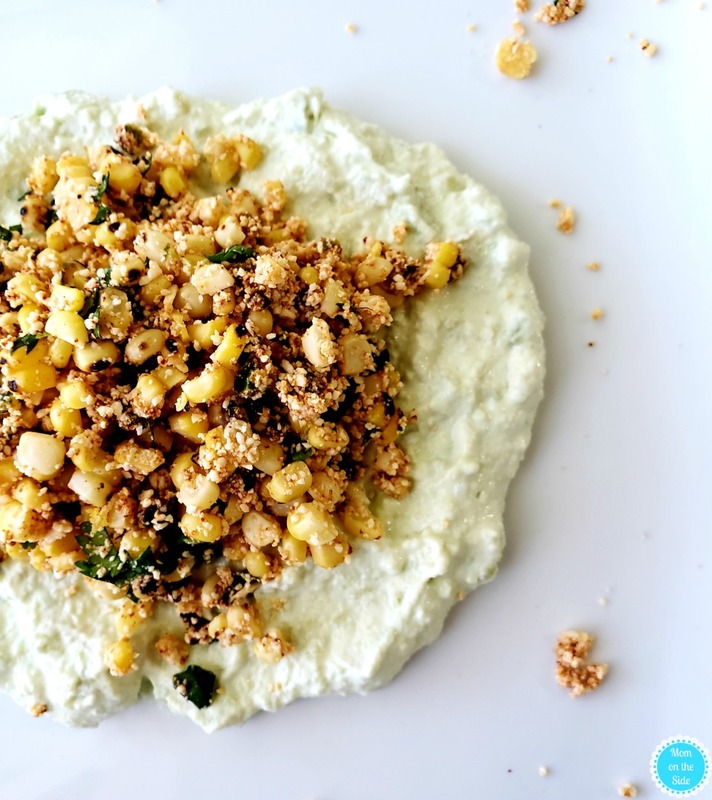 Spread the mixture onto a serving plate and top with the street corn mixture. 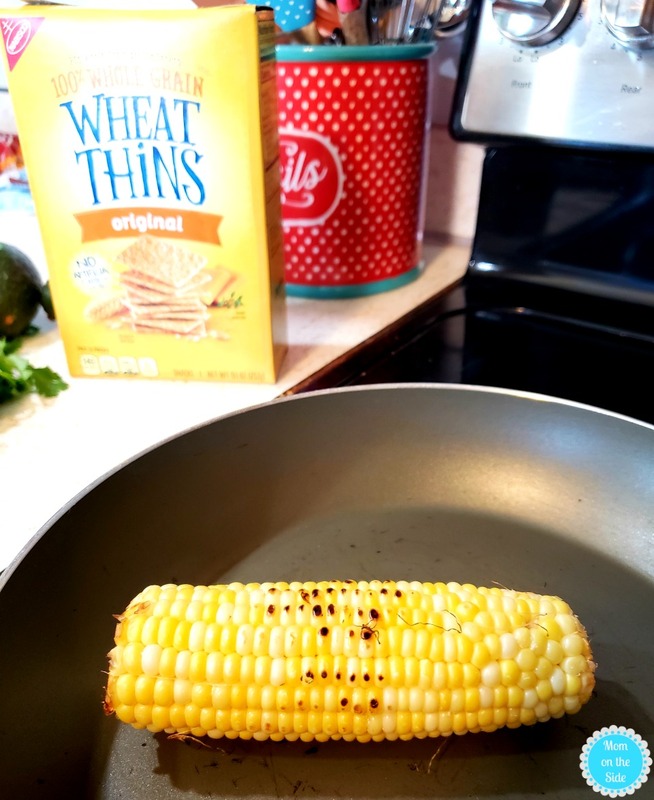 Serve with WHEAT THINS Original Snacks and dig right in, or you could garnish the dip with lime wedges, jalapeño slices, and fresh cilantro sprigs just before serving. If you plan on feeding a crowd you can easily double or triple recipe for more people! 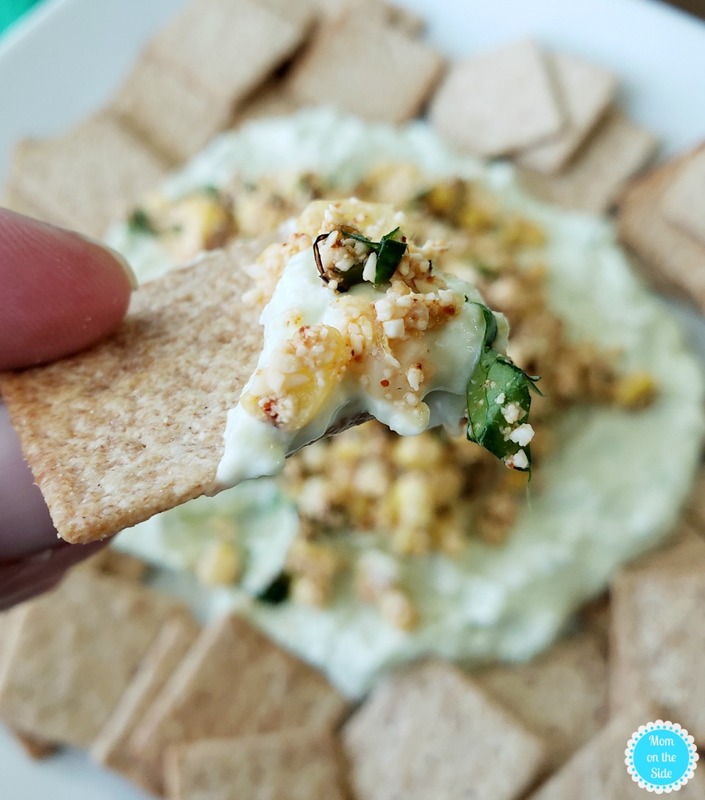 This Street Corn Dip with Avocado Cream is SO dang good. A flavor explosion on so many levels with the lime and cilantro and corn and cheese complimenting each other so well. Plus, it’s simple to make which I love! 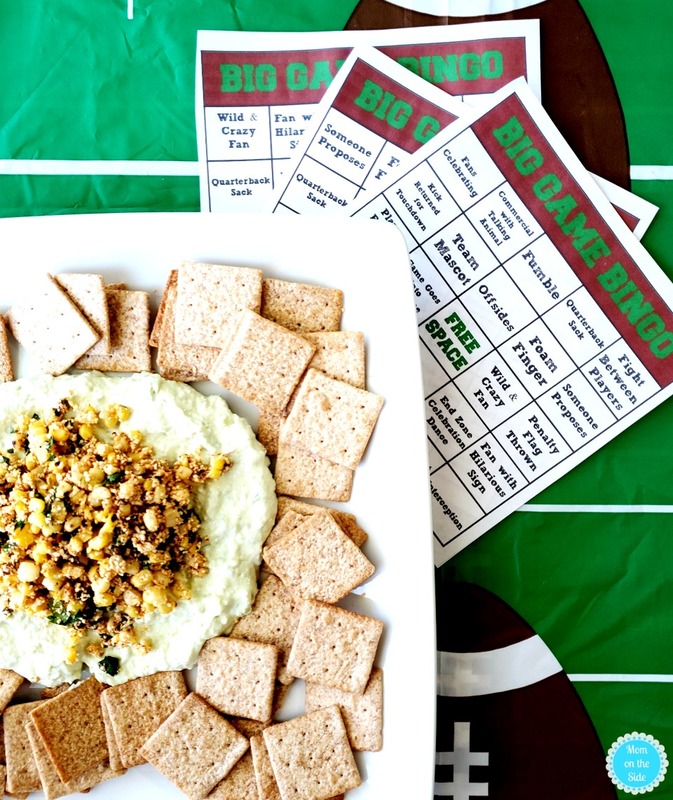 It whips together in 30 minutes so you can sit back and cheer on your football team while playing Big Game BINGO! I’ve created four different BINGO cards you can print off and play during the BIG GAME or any football game you’re watching. Each Big Game BINGO Card has things to look for during the game and commercials. 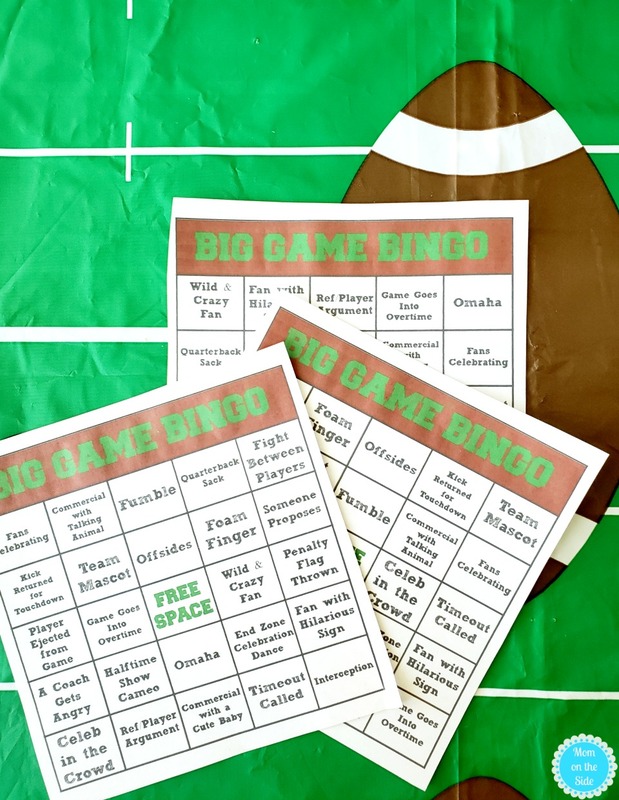 Each item you’ll pretty much always spot during a football game so it will be a matter of who gets a BINGO the fastest. You could make it fun and have a football-themed prize pack for the winner of the game! 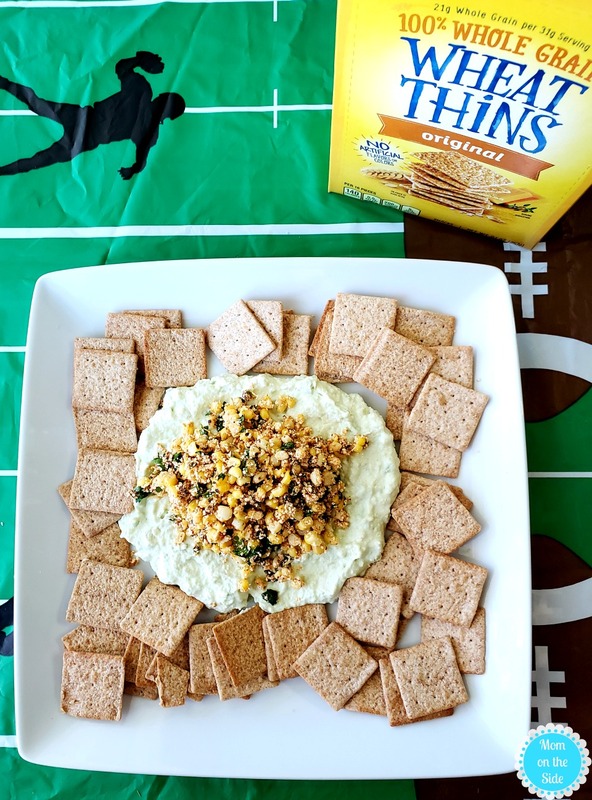 For more Big Game Recipes head over to the Nabisco Pinterest Page and check out the “Hot Deals” going on now at Hy–Vee on Nabisco Snack Crackers and RITZ Crackers!